Frantic is the word I’d use to best describe this short tale as you are thrust into the action from the first page. The plot itself was very original.. I’ve never read anything like it and I liked the idea one officer alone is trying to bring this man down the right way when the rest would most likely shot first and ask questions later.. it certainly raises questions on what your viewpoint is on things like this. If you fancy a short read that will leave you contemplating mental health, police procedures & moral standpoints then give this one a go. Certainly not the usual book you’d pick up and that’s definitely not a bad thing. This entry was posted in Book Reviews, Short Stories and tagged Authors, Book club, Book Lovers, Book Reviews, BookBlog, Books, Ebooks, Kindle, Reading, Short Stories on September 5, 2016 by Bairdy1985. Andrea’s life fell apart when she was laid off from a good paying job, but she found comfort in church, and then in the gentle arms of the Reverend. That would have been the perfect solution if he wasn’t already married to her best friend, one thing led to another and things just happened. What happens when two people in need of love find each other? Can Andrea and Melvin find their way past sin and salvage their personal lives, as well as their standing with God? At 52 pages this book is short but like me you’ll be surprised how much has been crammed in. One of the biggest issues you can have is leaving the reader feeling deflated like they haven’t got their monies worth from a short story.. well not this stories. The author managed to weave what felt to me as a complete story in so few pages and actually had me feeling for the characters. When each new character is introduced the author gives you a little insight but as the story progresses you get to see things from their point of view and things aren’t as clear cut as they might appear. If you enjoy a good short story this is perfect, it didn’t feel lacking in anything. The pace of the story was perfect, the writing style made it all flow nicely and my biggest love in any story. Character development was there in abundance. 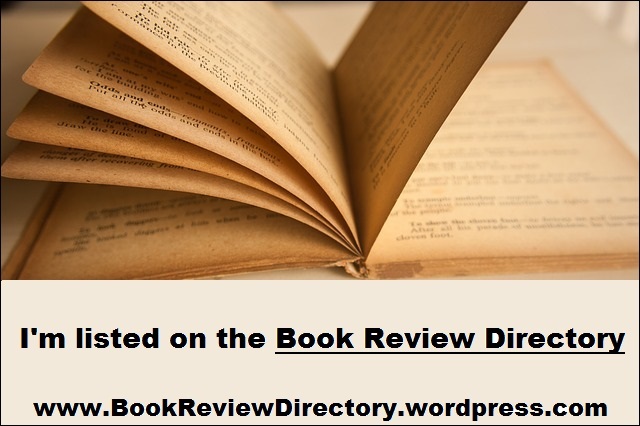 This entry was posted in Book Reviews, Romance, Short Stories and tagged Authors, Book club, Book Lovers, Book Reviews, BookBlog, Books, Ebooks, Kindle, Reading, Romance, Short Stories on May 9, 2016 by Bairdy1985. Who knew the zombie apocalypse would be caused by something we all know is deadly…but that is also all around us? Two stories intersect as the world delves into chaos – Earl, a drugged out heroin addict constantly in search of his next fix, and a family struggling with the dramas of everyday life, get no reprieve during this zombie outbreak. Can any of them survive the deadliest game of all – survival against undead, each other, and the world around them? Okay.. I’m a big fan of zombies I won’t lie.. and I’ve always enjoyed books that centre around an apocalypse. The idea of humans needing to survive without things we class as essential today is fascinating to me. This book was good.. if a little strange. The idea of mushrooms growing out of people’s heads was weird but interesting and the idea of how this apocalypse was quite good. Two things didn’t work so well for me, one was how quick it was decided it was a zombie apocalypse… since this is only a short work I guess you can let that one slide a bit plus everything ties up at the end of the story. Next was the use of drugs in the tale.. it was just too much for me. To read more reviews head to Goodreads. This entry was posted in Book Reviews, Horror, Short Stories and tagged Authors, Book club, Book Lovers, Book Reviews, Books, Ebooks on January 29, 2016 by Bairdy1985. 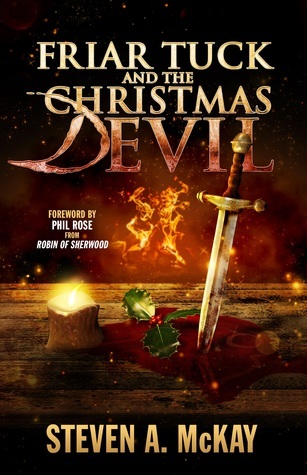 Holly and ivy decorate the houses while voices are raised in song, but the Christmas cheer is tempered by terror this festive season, as demons haunt a small English village. Strange thefts; cloven hoof-prints in the snow; a house burned to the ground. Something evil stalks the icy streets of Brandesburton and former mercenary Tuck must find out what, before it’s too late. This brand new novella from the best-selling author of the Forest Lord series will delight and entertain historical fiction fans looking to escape the madness of Christmas shopping for a little while. Grab a mince pie, warm some mulled wine, and join Friar Tuck on this snowy adventure! Includes a foreword by Phil Rose, the legendary Friar Tuck from TV’s Robin of Sherwood. What a perfectly wonderful Christmas tale. I was very lucky to have the chance to read an advance copy and i can say for certain when this book is released you are in for a treat! This tale focuses on one of my favourite characters Friar Tuck and some devilish events that have been occurring. As you can imaging the good Friar isn’t go to sit back and let things happen. I never like to spoil a story by saying too much in my reviews but if you’ve read Steven’s previous books you won’t be disappointed. McKay manages give us a Christmas tale with his own style of writing infused within it so there’s a perfect mix of violence and kindness to warm the heart. I highly recommend reading this during the festive period as it would fit in perfectly. My advice is grab a bottle of wine or a few beers and sit by the fire and read this from start to finish. Personally it was good to see Steven writing about the Friar again and i hope we see a few more short tales coming from the author soon. So far both Novella’s McKay has wrote have been great and he’s managed to fit so much into so few pages that you are left wanting more but fulfilled at the same time. This entry was posted in Book Reviews, Historical Fiction, Short Stories and tagged Authors, Book club, Book Lovers, Book Reviews, BookBlog, Books, Christmas, Friar Tuck, Historical Fiction, Pre-Order, Short Stories, Steven A. McKay on October 27, 2015 by Bairdy1985.